Please select a size. UK 3 - In StockUK 4 - In StockUK 5 - In StockUK 6 - In Stockview larger sizes Please select a size. 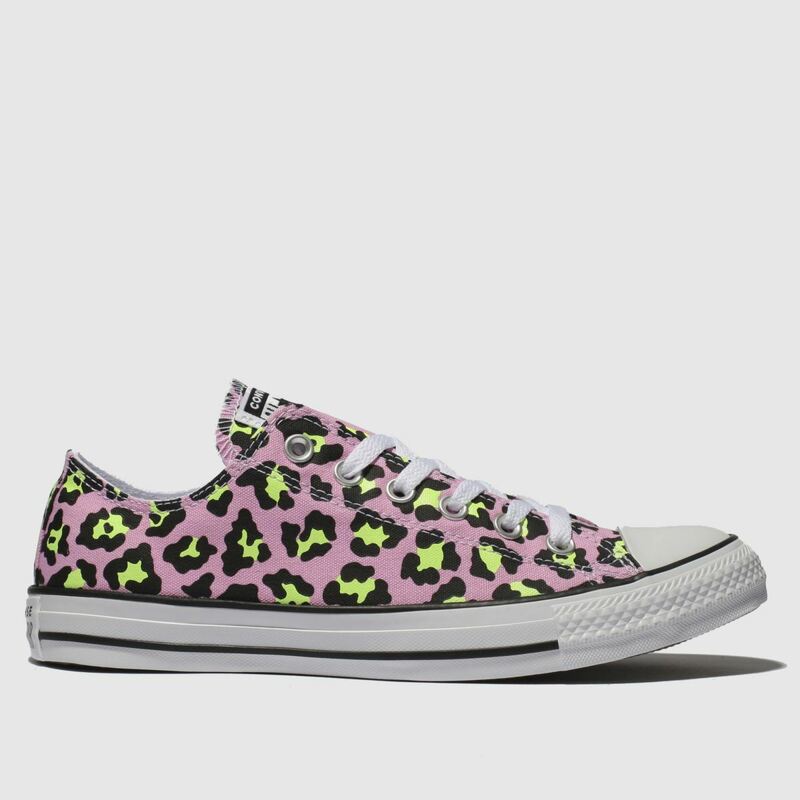 Get wild with your new season footwear collection in this Chuck Taylor All Star Courtside Animal Ox from Converse. 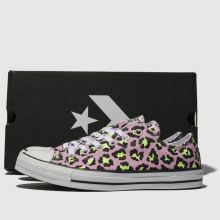 The sturdy fabric profile boasts a pink upper with lime green and black leopard print spots for a statement finish. Branding completes.